Occasionally in history, a leader takes power who is so iconic, powerful or inspiring that their influence is felt forever after. From Elizabeth I to Nelson Mandela, meet ten rulers who transformed our entire world. Anita Ganeri’s carefully selected and fascinating Top Ten ranges from great tacticians and empire-builders like Julius Caesar and Napoleon to great tyrants like Joseph Stalin and Adolph Hitler, as well as civil rights leaders like Gandhi and Martin Luther King. They are people chosen for their effect on the political map of our globe, as well as for their influence on our ideologies, beliefs and overall worldview. 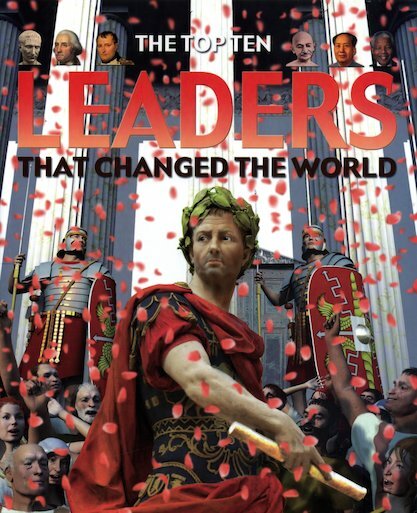 In a dramatically illustrated and fact-packed guide with plenty of supplementary information, the author explains why she has chosen these leaders as the most significant in history – and invites readers to create a Top Ten of their own.